Within the first few moments of a purchase, you have the chance to make a lasting impression on your customer, a gesture that will influence whether they stick with your service or make a repeat buy. You want them to feel special, and very often these days the run-of-the-mill, automated thank-you email just doesn’t cut it. In a world of online automation, business interactions can lack a personal touch. Now what could be more personal than a recorded video, made for and addressed specifically to you? Good business is about relationships. People buy from people they know and like. How can you not like someone who takes the time and effort to make you, individually, a video? And video imparts an immediacy and engagement factor far above email. You could very well just record a video and attach it to an email. This can, however, be a long and rather involved process. 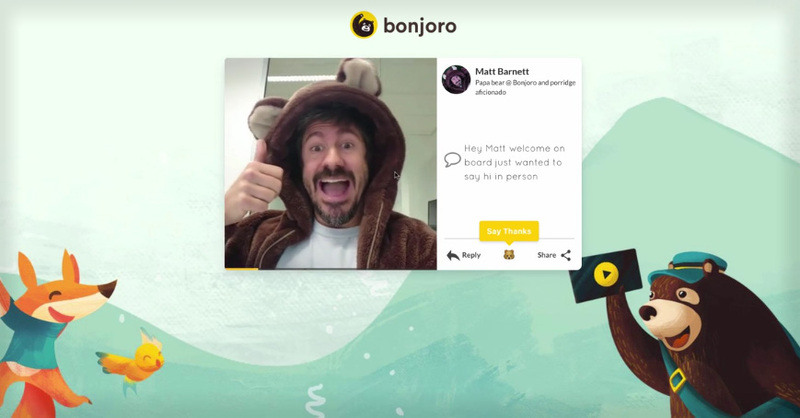 What Bonjoro have done is made the personalized video super easy and scalable, something you can do in a snap from your mobile phone or desktop. 1. 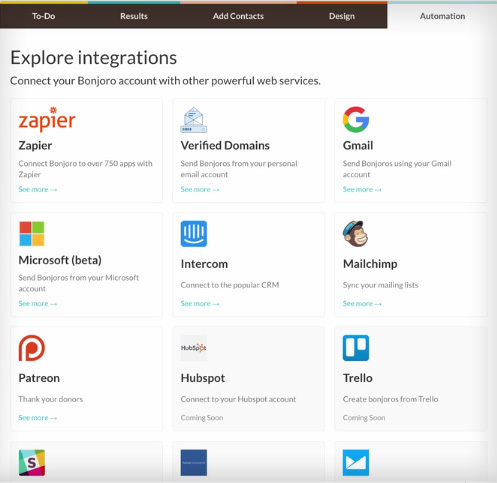 It starts with integrating your existing CRM, email marketing or social media tools with Bonjoro. In this phase you will set up triggers that will pull in contacts you want to send a Bonjoro to at a specified time, i.e. upon a new sign-up. You will receive notification when a trigger action is completed, upon receipt of which you can then create a Bonjoro. 2. 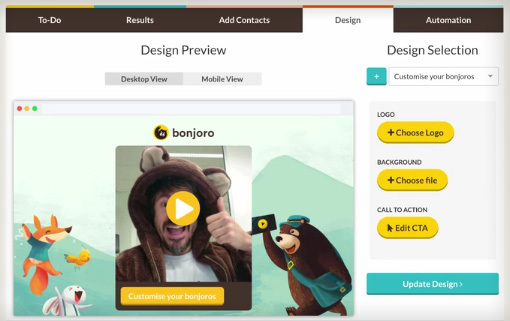 Via Bonjoro’s desktop or mobile app (available for Apple or Android), you can record your personal video, customize it with a message and branding, and send it straight to your customer’s email inbox. It’s that easy. 3. Get your team involved. No reason you should have all the fun. 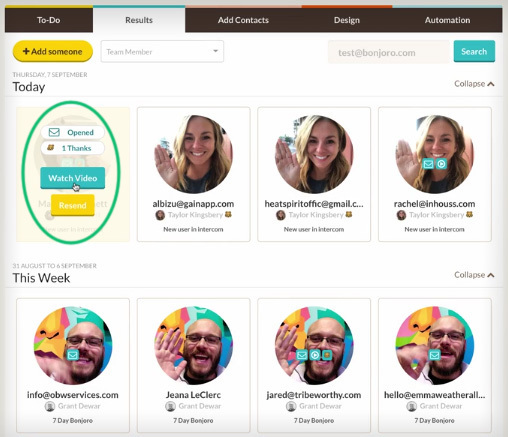 Bonjoro lets you have accounts for your team, who can then be assigned Bonjoros to create, lightening your workload. 4. 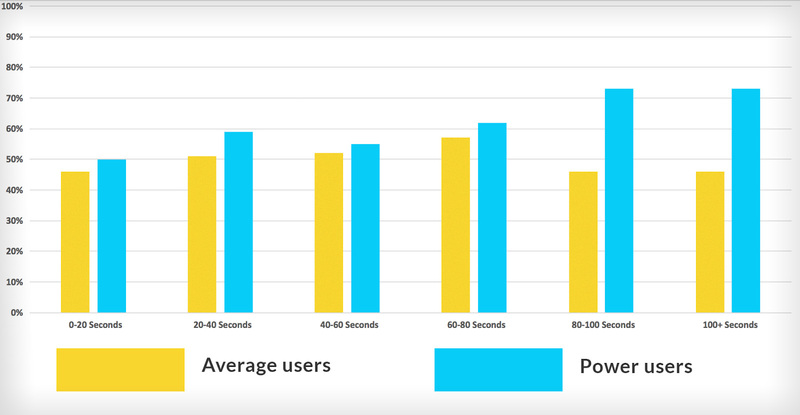 How effective are your videos? 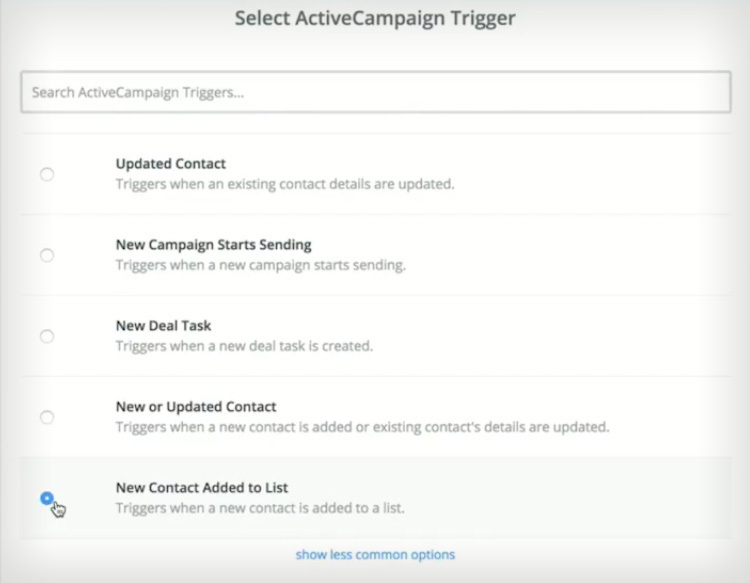 Track the results with analytics that can send the numbers back to your CRM. 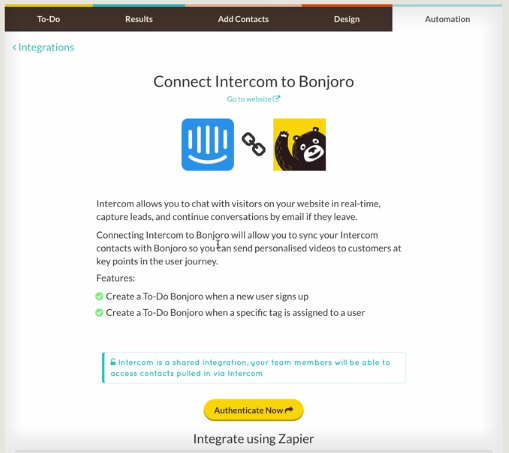 Click HERE to get started with Bonjoro – First two weeks are free! Bonjoro viewers can like and share your Bonjoros. 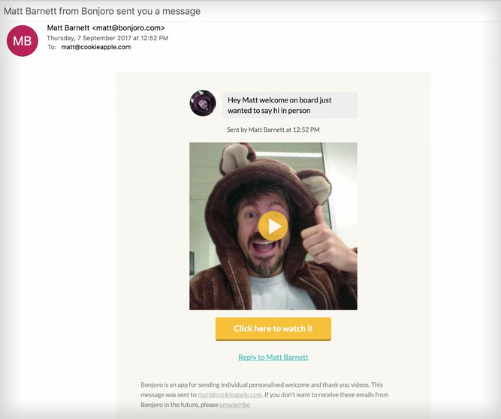 Bonjoro makes video emailing scalable by letting you share tasks with your team. 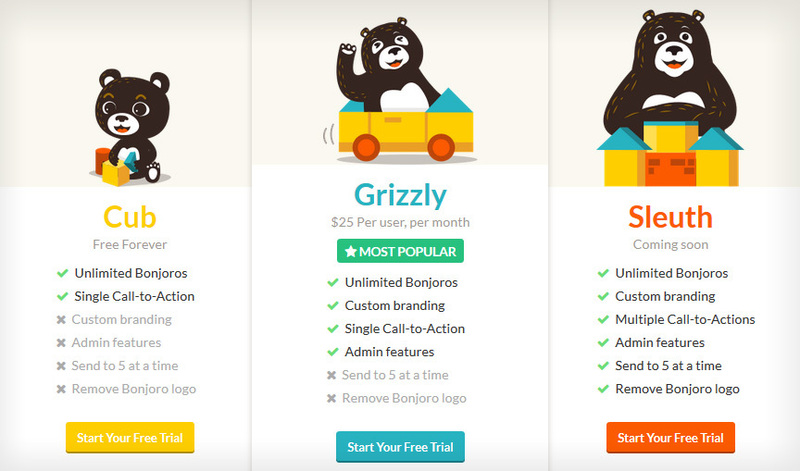 At time of writing, Bonjoro offers three user packages, the most popular being their Grizzly, which charges $25 per user per month. All three feature unlimited Bonjoros and a 14-day free trial, with varying features unlocked depending on your plan. You’re looking to add a personal touch to your business communications. You’d like a better response rate to your marketing and onboarding emails. 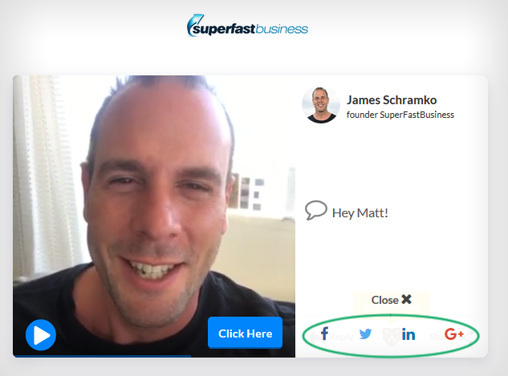 You want an effective and scalable way of engaging your prospects and customers. You aim to provide a customer experience that will set your business apart from most of the market. Start making a lasting impression on your customers today. Service is free for two weeks from signup.